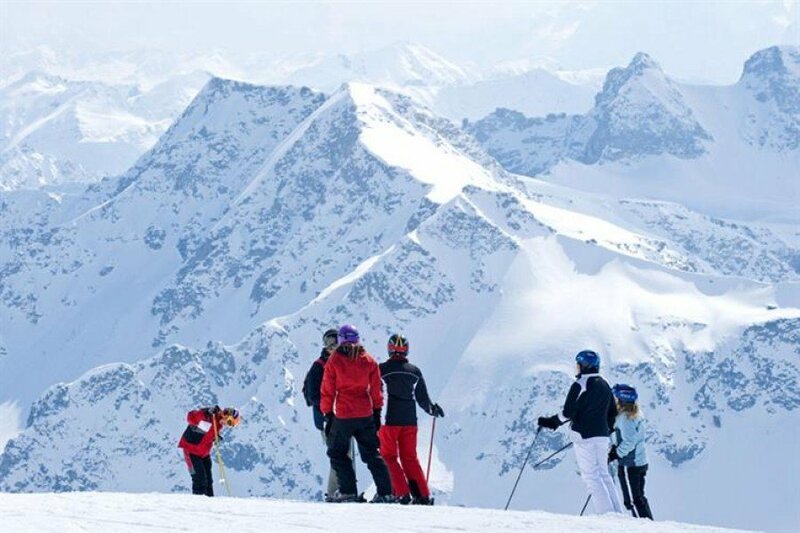 Elevated between 3937 ft and 10243 ft, the Ski Resort is among the 5 highest elevated Ski Resorts in Austria. The vertical drop from summit to base is 6306 ft. The average difference in altitude between base and summit of Ski Resorts in Austria is 2388 ft. Most runs are therefore relatively long. 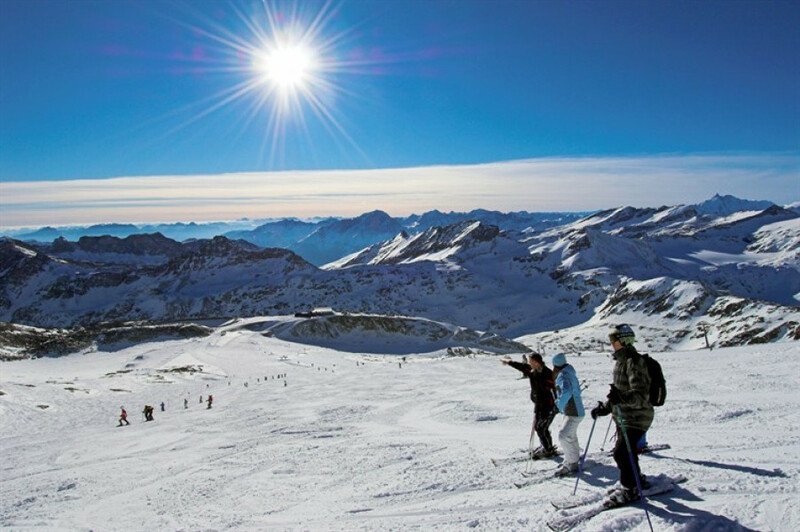 Mölltaler Glacier is among the 5 best rated Ski Resorts in Carinthia. Season starts on Jun 16 and ends on May 12 (330 days). Average season duration in Austria is 114 days. Average snow depth during the season (Jun 16 to May 12) is 76 " at summit elevation and 2 " at base elevation. Snow coverage is usually best during April, offering an average snow depth of 104 " at summit elevation and 0 " at the base. 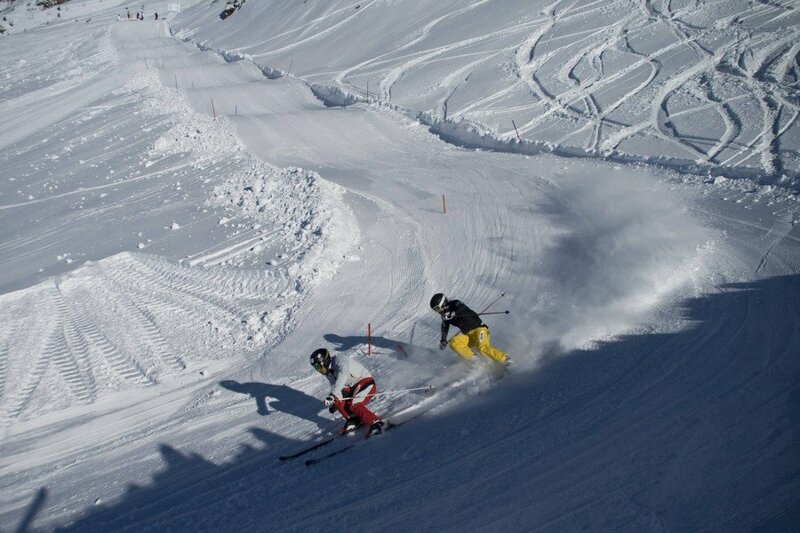 Therefore Mölltaler Glacier is among the 3 ski Resorts with best snow conditions in Austria. Mölltaler Glacier features 159 sunny days on average per season. 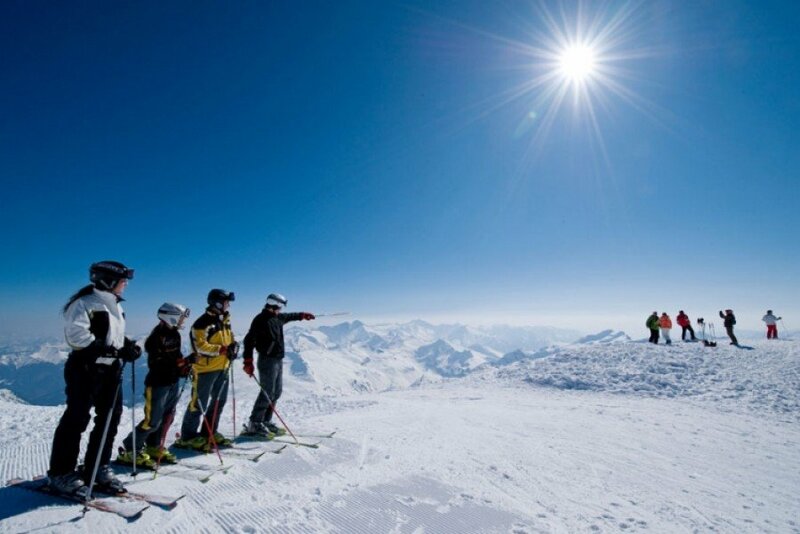 The average for all ski Resorts in Austria is 177 sunny days. July is the sunniest month with an average of 24 sunny days. The Mölltaler glacier is the only glacier ski area in Kärnten and it is one of the few resorts where seasons start super early. 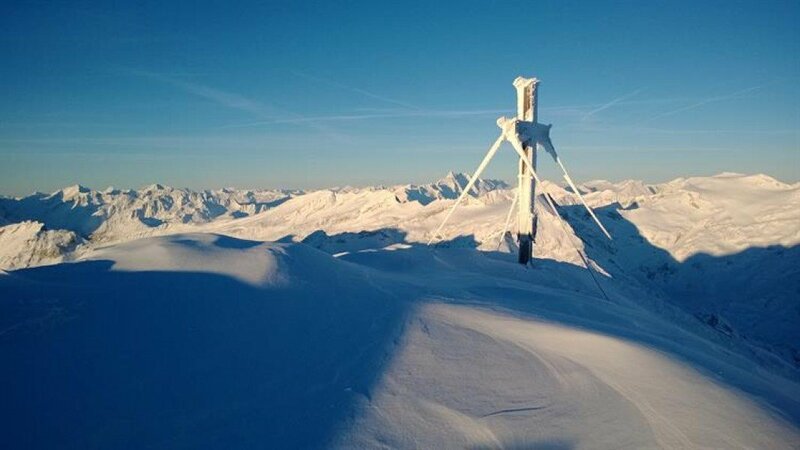 Thanks to the natural snow of the glacier and the many snow making facilities snow is guaranteed on all 17 slopes throughout the season. The six blue, eight red and three black marked slopes extend themselves up to a height of 3.122 meters (10243 ft). In addition you have a wonderful mountain panorama with more than 30 three thousand meter high mountains in the National Park Hohe Tauern. From the tranquil village of Flattach you can reach the intermediate station in eight minutes by taking the underground cableway Mölltal-Express. Using both t-bar lifts beginners can practice first attempts on the corresponding slopes. The Bobo Children's Club has set up its so-called “Zwergenlöwenland” children's area. With magic carpet lifts, a wavy run and a bobsleigh track the little skiers will playfully learn the perfect skiing technique. Another plus for the family household piggy bank: children under the age of 6 can ski for free at the Mölltaler Glacier ski resort. If you already feel a little safer standing on one or two boards take the Eisseebahn gondola up to 2.800 meters (9186 ft). 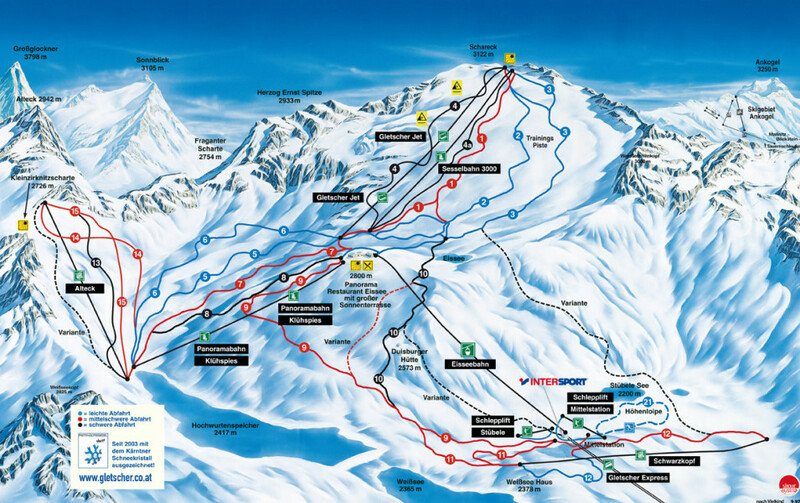 Here you will find more blue marked pistes. They will either lead you directly to the Alteck chair lift (No. 5 and 6) or start at more than 3.000 meters (9842 ft) at the summit Schareck (No. 2 and 3). 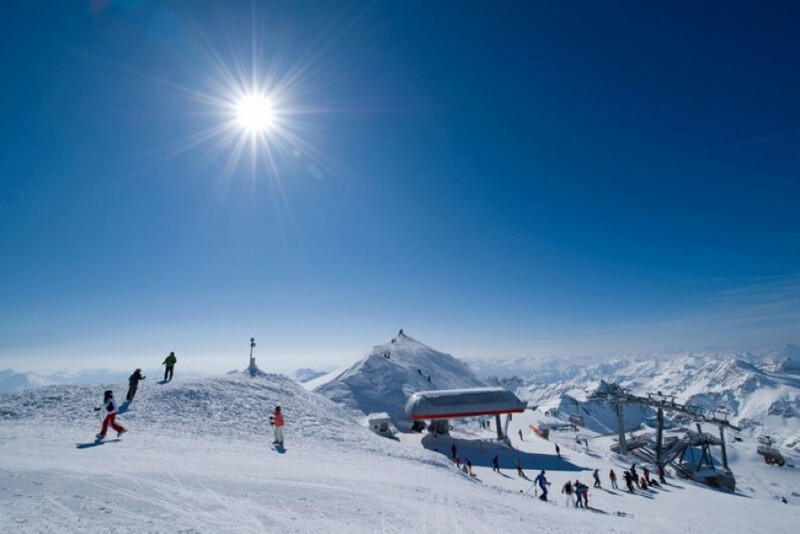 Also athletic skiers will not miss out at this resort because the Alteck chair lift leads advanced skiers to two red marked pistes as well as one black marked slope. On the mountain Schareck you won't be bored either thanks to the Schareck runs No.1 and 4. A real highlight for all expert skiers is the black marked FIS run (No. 10) which starts at the top station of the Eissee gondola. Freestyle skiers can enjoy a terrain park at the Schareck slope (No. 3) with waves, steep curves and a boardercross course. If you enjoy skiing off the beaten track and in deep powder snow leaving those first traces in fresh snow, you will find 6.7 kilometers (4.2 mi) of demanding and ambitious freeriding areas at the Mölltaler glacier. A true challenge here is the descend from the east wall of the Schareck down to the Stübele See lake. A popular destination for all visitors at the Mölltaler glacier is the panorama restaurant Eissee. On the menu you'll find various specialties from Kärnten: Something savory such as rack of lamb with typical 'Kasnudel'(pasta with different fillings) or maybe something sweet like warm yeast dumplings with custard – this restaurant has it all! 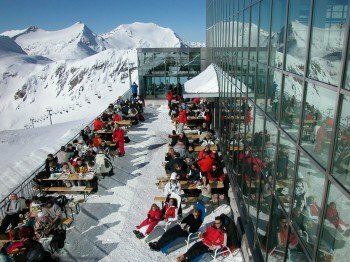 Another place worth your time would be Austria’s highest winter garden at a height of 2.800 meters (9186 ft) where you can enjoy scrumptious foods combined with an even more delicious view! Expert skiers need to try the FIS run with the highest elevation in Kärnten. The black marked slope Eissee (No. 10) is quite a challenge with steep and ambitious terrain and a length of seven kilometers (4.3 mi). In midst of the National Park Hohe Tauern the small community of Flattach has lots of other fun winter activities to offer than just skiing at the Mölltaler glacier. The natural toboggan run in the district Innerfragant provides sledding fun on a 1.3 kilometers (0.8 mi) long track from morning till late at night thanks to the floodlight system! 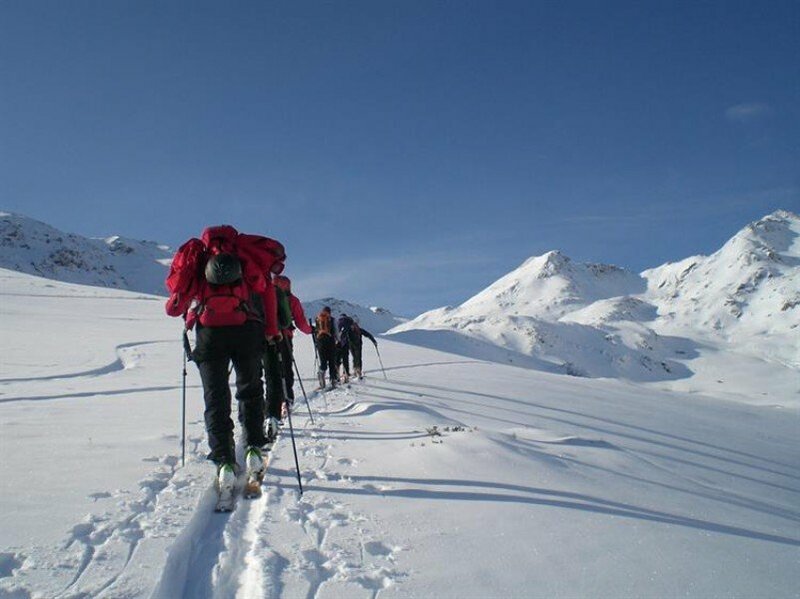 The local ski school also presents snow shoe hikes from time to time and on the ice rink at the elementary school visitors can try their luck away from snow and on the ice! 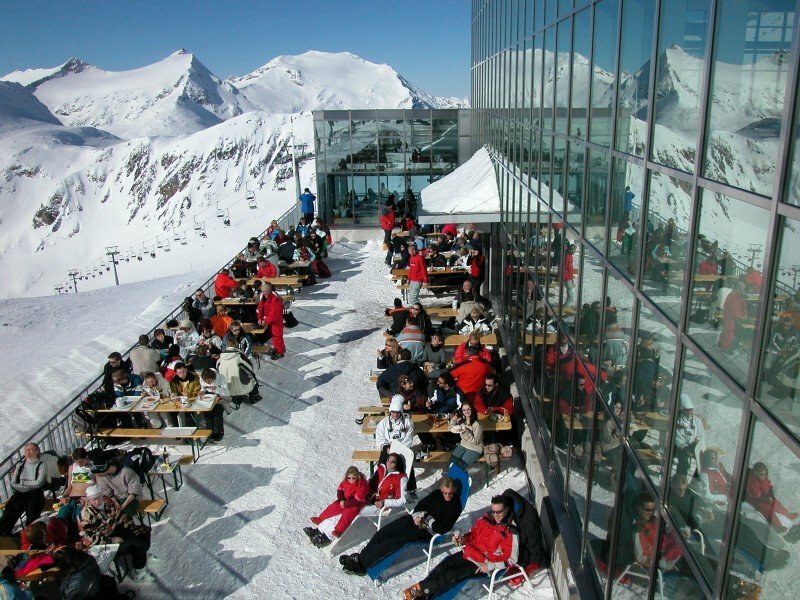 A successful ski day at Mölltaler glacier is celebrated with music and drinks from the umbrella bar called 'Europabar' at the intermediate station. But the party on the mountain ends relatively early since all party enthusiasts need to take the last gondola back to the valley and continue their celebration down in Flattach. The so-called Flattacher Hof has a bar situated in a 500 year old vault. The place called Hütten Wirt provides party atmosphere until the early morning hours. In the evenings there are many restaurants in Flattach which offer culinary delights and tasty delicacies. 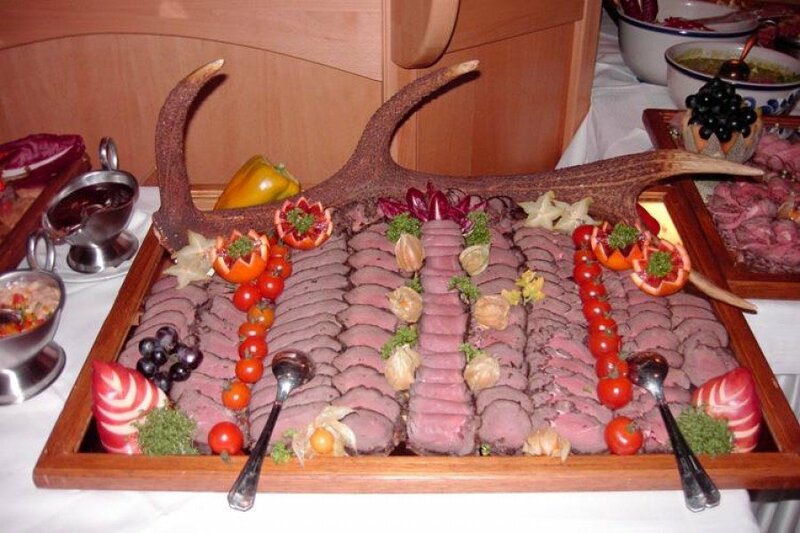 Local and homemade products as well as traditional recipes are served at the restaurant Fraganter Wirt. A pristine wine selection and a diverse menu can be found at the restaurant Gletschermühle. Starting in Germany drive through Rosenheim to Kufstein. From there taking the federal road in the direction of Kitzbühel. Traversing the Felbertauernpass toll road you'll continue your way to Lienz. Follow the B107 to Winklern and from there change onto the B106 in the direction of Flattach. You can also reach the glacier via the A10 Tauernautobahn (highway). Get off the highway in the Spittal valley taking the exit labeled Lienz. Following the Drautalbundesstraße (federal road) and the Möllbrücke-Obervellach bridge you'll reach Flattach with no problem. The IC train station (Inter City) is only about 15 kilometers (9.3 mi) away from Flattach. The nearest airport would be Klagenfurt. Shuttle services will take visitors to their destination. Hello everyone and I hope you are having amazing ski days.